Nowadays it is usual that a meeting around the world, taking pictures with your phone, but the problem is that sharing all snaps after this a real headache. I opted for getting everything to Dropbox (which it does automatically) and send the link with all the pictures to my friends, but perhaps now change my way of sharing photos with Flock. 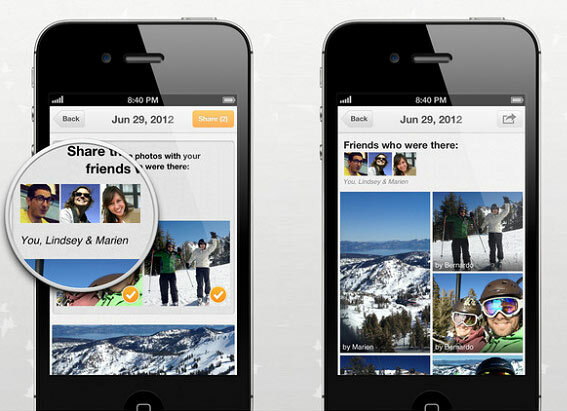 Flock is an application for iOS which helps in sharing photos with your friends automatically. Flock is one of the best iPhone app to share all the pictures from the iPhone. This app finds the photos you take together with friends and family and then it brings all the photos from each person’s phone together into a single shared album. Sounds great, yes it is. And the best thing about Flock is a Push notification so we will never miss any photos from Friends and family. You have to just download the Flock app and then open the app and Enter your Facebook account details and the application will connect with the people who have it installed. Now if all these people are in one place taking photos, Flock will create an album automatically and begin to share the photos with all those who have the application and are in the same place. Like you have control over their photos, but the greatest grace is that all the photos automatically upload for all to enjoy. Keep remember that to use Flock app, you must need a Facebook account. Flock free download from the following link.